My Awesome Planner and 10% discount thank to J-card! 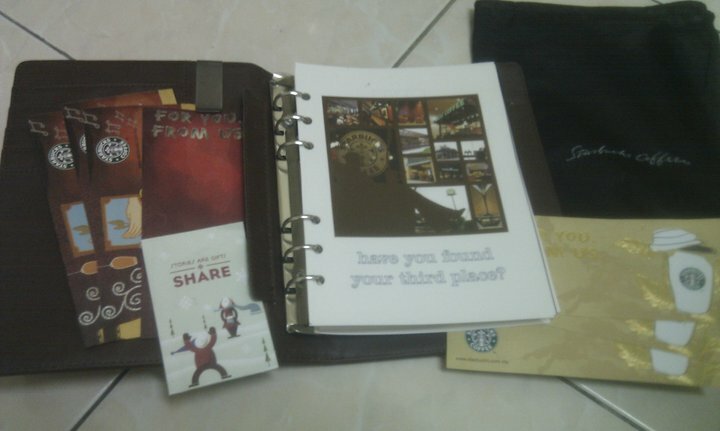 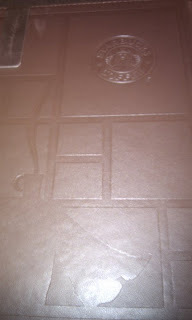 Finally after getting my 12th cop on tiny Starbuck card, I got my Starbuck 2011 planner. 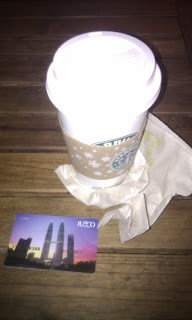 *JUMP IN JOY* Toffe Nut Latte, Peppermint Mocha , Iced Caramel Macchiato, Ice Caffe Mocha, Java Chip, Green Tea,Espresso and list keep continuing .U named it . 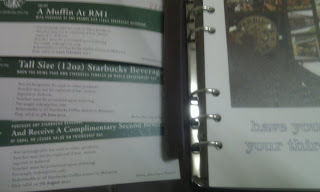 One or another, I have drink it before (at lest once).Safe to say, I can memories the Starbuck menu like back of my hand plus ordering different types of beverage will help too. Till the point the Barista of the certain Starbuck outlet have become my acquaintances XD . 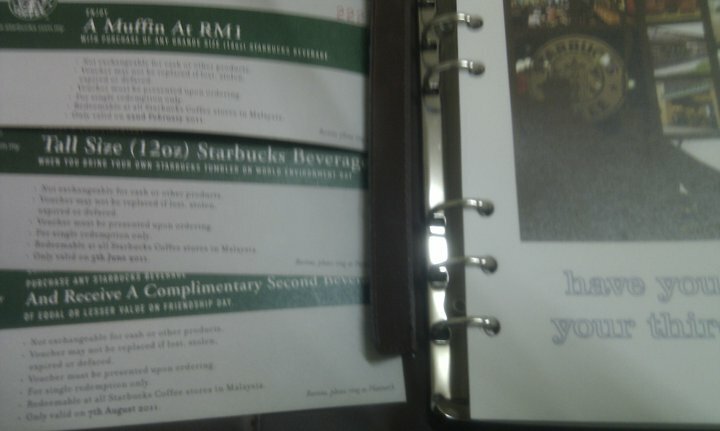 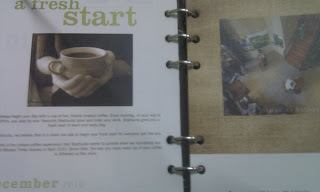 Anyway upon closer inspection , the planner contains 3 different voucher that can be used on specific date next year (2011) and losta interesting picture about MY Starbuck and their baristas and outlet scatter all around Malaysia. And not to forgetting , lotsa dates and event plus empty space to write down notes like other normal planner .